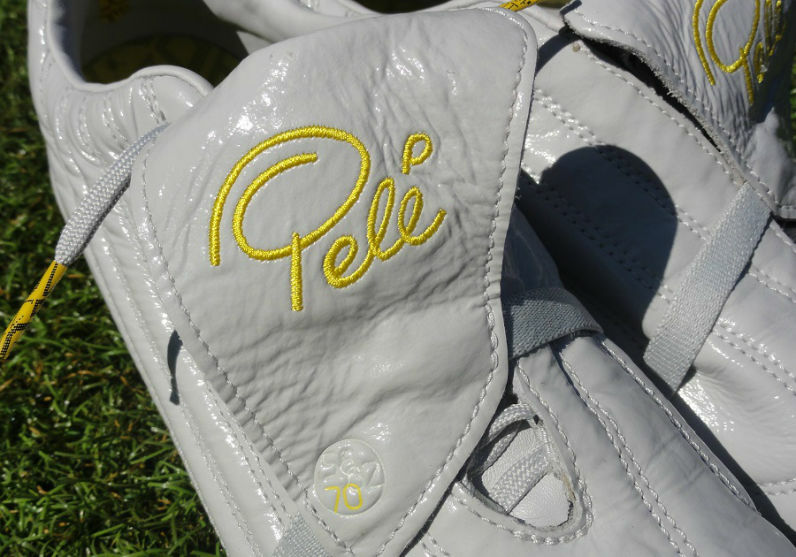 With Pele Sports headed for the horizon and plenty of their boots being sold off at ridiculously low prices, we wanted to share one last moment with the highly developed Pele Sports 1970. 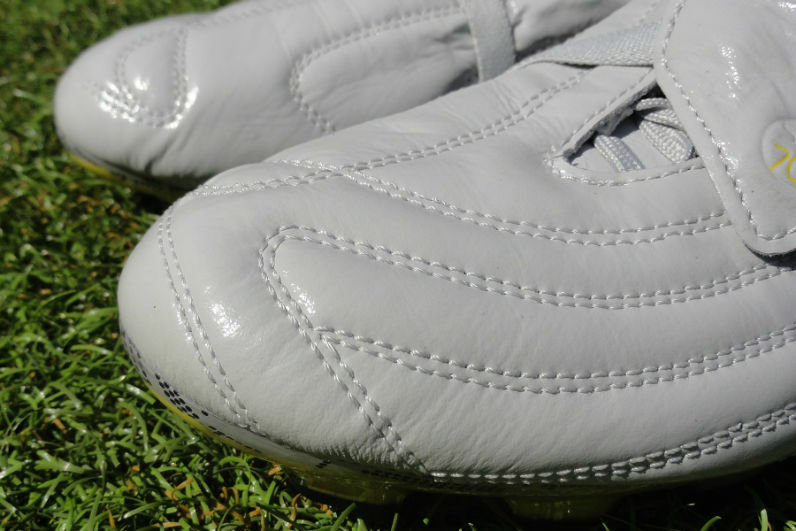 If you are new to the boot world or just haven’t heard of the 1970 before, it was a release that focused on the fundamentals of the game, designed to provide players with a comfortable and durable experience. The first thing you will notice about them is the incredibly shiny leather upper. The entire upper is made of a one-piece kangaroo leather, which means less seams in the design. The leather also undergoes an incredible 150 separate processing steps before it becomes a finished article! 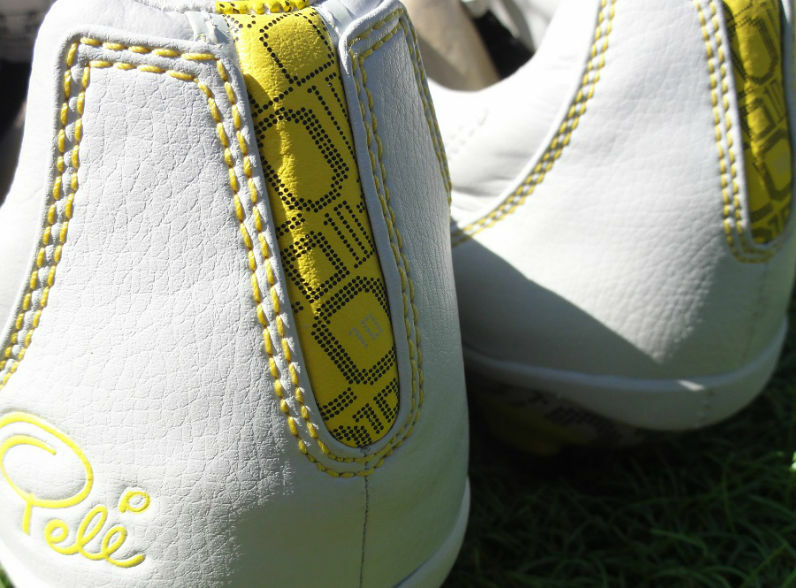 Hi-tech polymer treatments provide permanent water resistance, yet preserve breathability. A permanent branding process prevents fading and keeps the K-leather color-fast. A secondary tanning process protects against sweat damage. A friction enhancing treatment is impregnated in the fiber structure of the leather. This means it won’t wear off, like a coating treatment. One important thing to note about these is how they fit. My advice is to order down a half size as they size longer than most boots on the market. As a regular 9US, they fit me way too long, so the 8.5US was the more appropriate size. They also have plenty of room for those of you with wide feet. 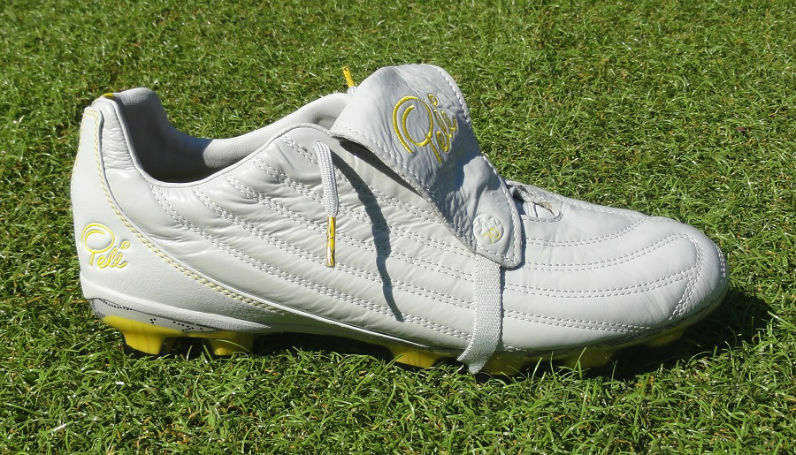 Initially, this was a boot that we didn’t quite appreciate enough even after testing them. 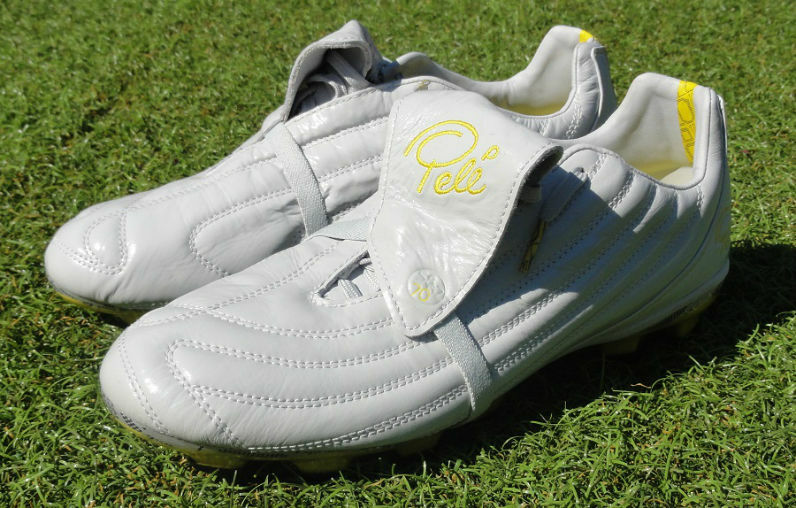 But as we move on from the brand, there is a need to at least acknowledge what Pele Sports tried to bring to the market and the effort they put into creating what is a quality heritage boot. If you have the chance to pick up a pair before they disappear, I recommend it. Given that they have an original retail of $180 and are listed for $26 – $37, there really isn’t a lot to lose on experiencing a pair! Find the remaining pairs of these boots available on Amazon.com . They will soon be mine. I have always wondered how this boot became Pele 1970 from maroons. this boot was originally produce by Australian Boot company call Nomis. Although, it can be used for soccer, it was designed more for Rugby. I have a pair I bought about 5 to 6 years ago. I still wear them. 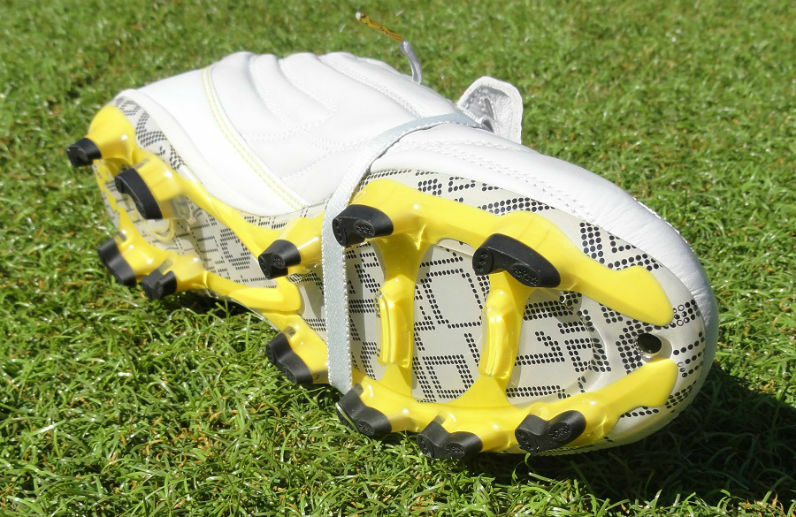 Nomis has claimed sole plate has a special treatment/technology that repels mud from stick to the sole. But I don't think it helps much. it is bit heavy but overall it is a great pair of boot. Just purchased a pair of the 1962s at a bargain price. Stunning boot, I’m contemplating several more before they’re gone for good. I got a pair for my son when they were on clearance online. I regretted not buying two pair, but he complained that they weren't as colorful as the other brands so I didn't get them. 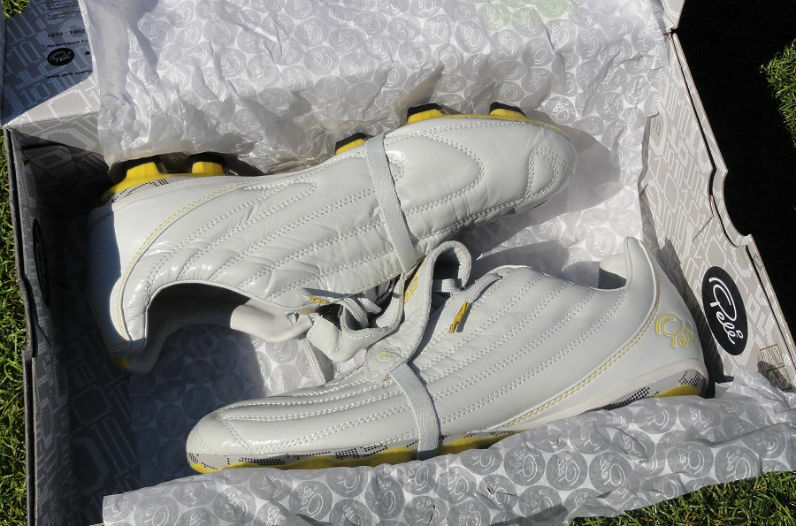 This was a great boot, especially for the price point.